Published: April 04, 2019 13:34 Mohammad El Jachi, Special to tabloid! Wasla, the alternative Arabic music festival, is back for its third edition on April 5 at the Burj Park, Downtown Dubai. This year’s headliners include Mashrou Leila, Cairokee, 47soul, El Moraba3 and Massar Egbari. Three local groups, Noon, Redaround and Shagaf will also perform, with DJ sets by Karrouhat. Here’s who you can expect to see. Egypt’s Massar Egbari have been active for almost 15 years, touring through Europe, Asia Africa, North America and the Middle East. 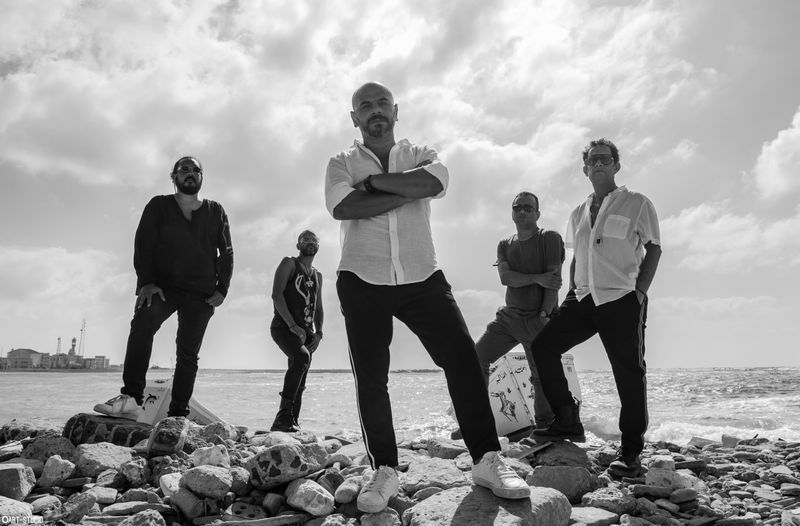 The band is made up of lead vocalist and guitarist Hani Al Dakkak, Ayman Massoud on keyboard, bass guitarist Ahmad Hafez, drummer Tamer Attallah and guitarist Mahmoud Siam. Their name, meaning ‘Compulsory Detour’, reflects on a time when members of the band had to choose between following their musical aspirations or bowing to pressure from friends and family to conform. 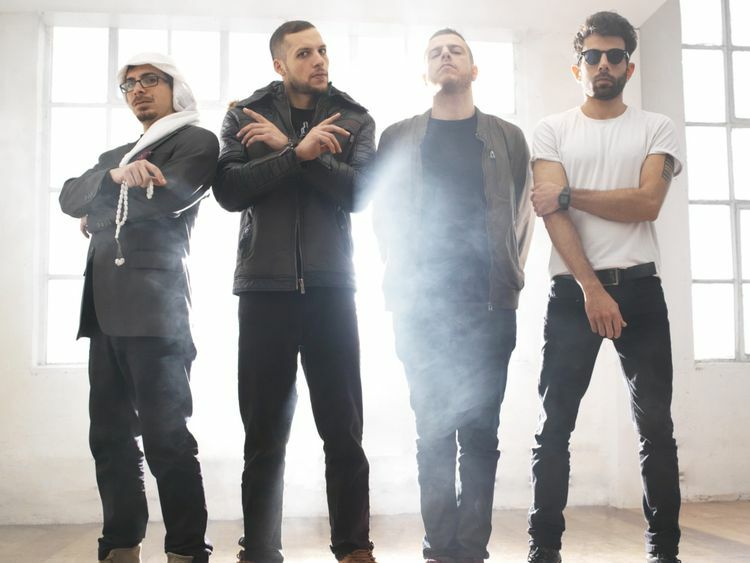 They’ve shared the stage with other Egyptian groups such as Cairokee, Black Theama and Wust El Balad, releasing two full length albums and appearing in a number of feature length films. Their 2018 album features lyric-writing credits from many reputable Egyptian poets such as Doaa Abdul Wahab, and Mohammad Ebrahim, while adhering to the blues and jazz inflected instrumentation they developed in 2013’s ‘Read The News’ and 2015 ‘Rise and Fall’. 47soul brings together the careers of several scene luminaries — Tareq Abu Kwaik (Al Far3i), Walaa Sbeit, Ramzy Suleiman (Z the People) and Hamza Arnaout (El Jehaz). The four came together after several years of experimenting with different strains of Levantine music and genres like soul, reggae, rock and rap. The band made their UAE debut last year at NYU Abu Dhabi’s Barzakh Music Festival, playing songs off their first album, ‘Intro to Shamstep’, and their latest, ‘Balfron Promise’. Their first release, ‘Intro to Shamstep’, features both studio and live cuts, funded through a highly successful crowdfunding campaign. The album includes an extended, live medley of the studio track ‘Everyland’, and a full-band version of Al Far3i’s ‘Saheb El Ra3i’. The 21 minute ‘No Trial’ played in Amman is a highlight, exhibiting all the intensity and stamina of a live band embracing and addressing the difficult socio-political realities of their native Palestine. ‘Balfron Promise’ is a much more focused set of songs, expounding on the themes of resistance, enlightenment and togetherness championed in the first album. The album, with songs like ‘Moh Light’, encourages listeners to consider the region’s complex history and demography, and how important this understanding is to any people’s empowerment and liberation. Their lyrics are bilingual, and draw from influences as far ranging as Frantz Fanon, Mohammad Arkoun, Emile Habib and their residency at London’s Balfron Tower. “We are sort of in a miserable position as Arab people in these times but if we can understand our region more and what role it really played then we might start thinking a bit positively yet not naively about change,” said the band. 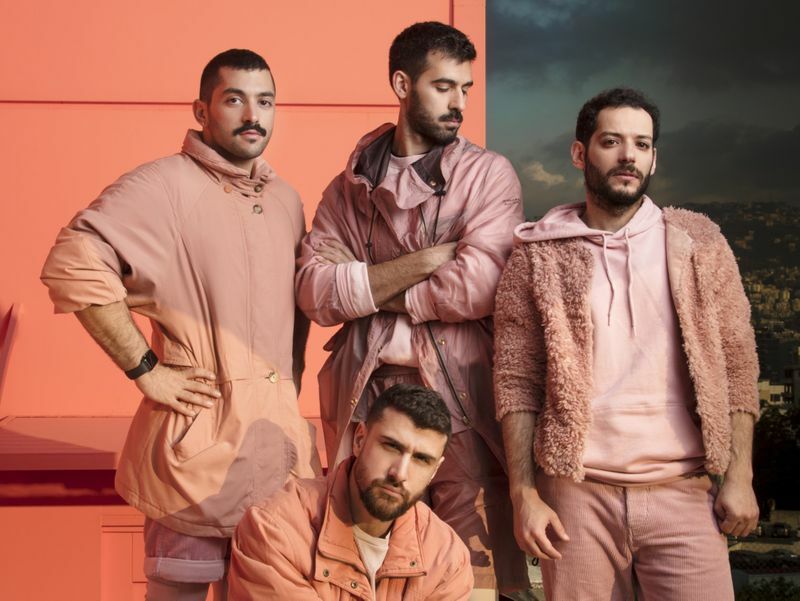 More than enough has been said about this group, from their beginnings in an unassuming music workshop at the American University of Beirut, to the first signs of regional and international success with singles like ‘Fasateen’, ‘Raksit Leila’ and ‘Lil Watan’. Mashrou’ Leila is lead vocalist Hamed Sinno, Carl Gerges on drums and Firas Abou Fakher on guitar and keyboards and Haig Papazian on violin. Since the release of 2015’s ‘Ibn El Leil’, the band has shifted to focusing on individual collaborations. This includes teaching a graduate class at the Kevorkian Center for Near Eastern Studies at NYU in 2017, the track ‘Salam’ from the Block9 creative retreat at Banksy’s Walled Off Hotel in Palestine (which also appears on their latest, ‘The Beirut School’), and the Jessy Mousallem directed, award-winning music video for ‘Roman’. The track list of their most recent release, ‘The Beirut School’, includes nine tracks from their last four albums, along with new tracks ‘Cavalry’, ‘Radio Romance’, ‘Roman’ and ‘Salam’. “‘The Beirut School’ was conceived as a celebration for our 10 year anniversary, and we decided to include a snippet of the new material that we have been working on, with many more to come soon,” said Abou Fakher. 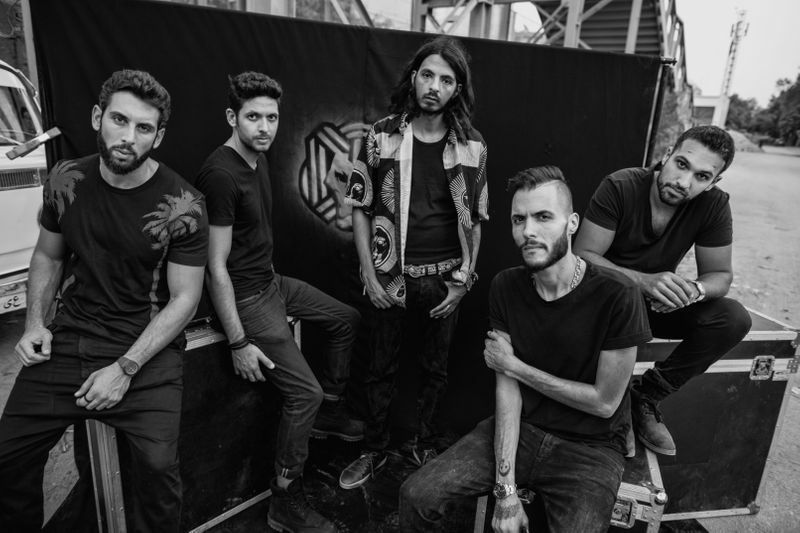 Cairokee, back for their second consecutive year at Wasla, consists of lead vocalist Amir Eid, lead guitarist Sherif Hawary, drummer Tamer Hashem, keyboarder Sherif Mustafa, and bass guitarist Adam el-Alfy. They existed in their earliest form in 2003, as Eid and Hawary’s Black Star. The band went from playing one original Arabic song to focusing solely on producing music in their mother tongue. Cairokee came to prominence around the time of the Arab spring. They gained traction through the songs ‘Sowt El-Horreya’ (The Voice of Freedom) and ‘Ya El Midan’ (Oh you, the Square), in reference to Tahir Square, a focal point for political protest and activism in Egypt since the 70s. These artists’ penchant for social activism is reflected in Cairokee’s career: they’ve participated in public demonstrations and awareness campaigns for mental illness, Aids and more. Their latest, ‘Abna’a Albuta Al So’da’ (Children of the Ugly Duckling) is darker and more minimal than 2017’s ‘A Drop of White’, and carries forward with many of the themes introduced throughout. Where the song ‘Fix’ from their last album touched on substance abuse, ‘Ana El Segara’ zeroes in on a romanticised smoking habit. ‘Ma A’ad Sagheran’ featuring Sary Hany, was written around the poetry of the late Dr Ahmad Khaled Tawfiq, Egypt’s premier horror and science fiction writer, who passed away in early 2018. “It means a lot to me because I have great respect for Dr Ahmed Khalid Tawfik, and it was to my surprise and joy to find out that he was a fan of our work too, he actually is the one who made me read Arabic books in the first place,” said Hawary. Eid says that his songs exist in some form, long before he commits them to paper. “It’s the same phase, the same place with different music and feeling,” said Eid. The Jordanian trio, who had originally been tapped to play at last year’s Wasla, are now making their Dubai debut. 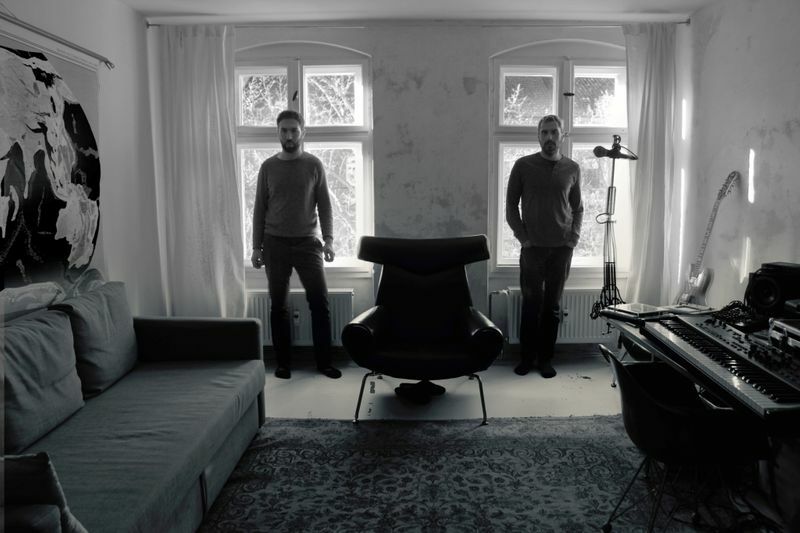 The group formed in 2009, and set themselves apart with instrumentation informed by post-rock and later electronica. The band features Mohammad Abdullah on bass and vocals, Odai Shawagfeh on electric guitar, keyboards and synth and Dirar Shawagfeh on drums and percussion. The band’s previous fourth member, Tareq Abu Kwaik (Al Far3i), will share the stage with them as a member of 47Soul. Members of El Morabba3 have worked as music teachers and engineers in the past to support their artistic efforts. As a group of Palestinian and Jordanian artists, El Morabba3 tackle the micro and macro, from corruption and border control to solitude, introspection and non-conformity with their new album, 2016’s crowdfunded ‘Taraf el khayt’. They’ve toured extensively through the Middle East and Europe, and hope to release a number of singles in the coming year. Wasla will be staged on April 5 at Burj Park, Downtown Dubai. Doors open at 11am, with headliners starting at 3pm. Tickets can be purchased online for Dh195 or for Dh245 at the door. — Mohammad El Jachi is an intern at Gulf News.